USL Austin announced today the team name, head coach and players, and revealed the team logo and jerseys for the city’s professional soccer team, Austin Bold FC. The United Soccer League features 33 professional soccer teams in the United States and Canada, with seven new markets announced to begin play in 2019. 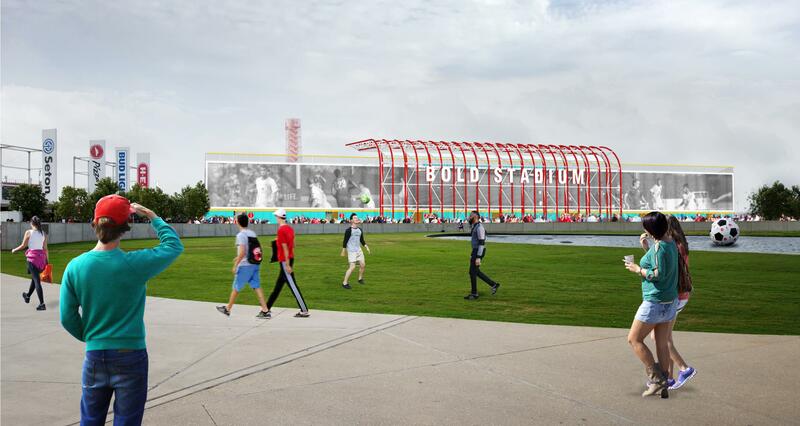 Austin Bold FC will play its home matches in a 5,000-seat stadium in the heart of Circuit of The Americas! 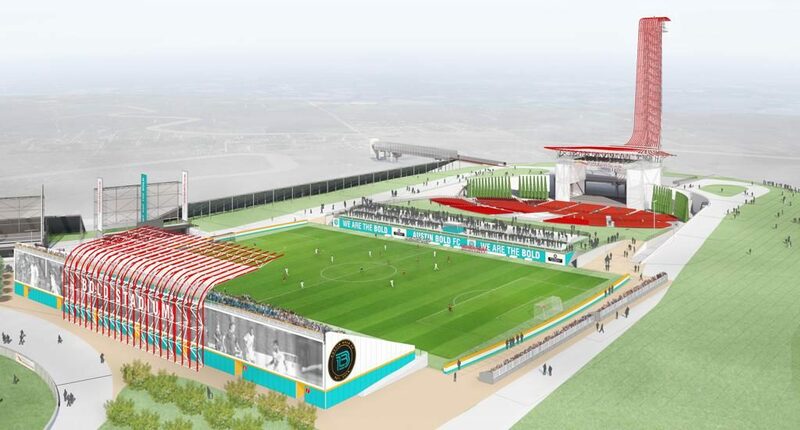 "This is a tremendous opportunity for soccer to succeed in Austin,” said Austin Bold FC General Manager Roberto Silva. “We will have first-class facilities, a 5,000-seat soccer specific stadium, concessions that include adult beverages, and we're recruiting players of an incredibly high caliber. This is a fantastic chance for the game to grow and flourish in this market and we are excited to bring all of it to the great soccer fans in Austin." Austin Bold FC, led by head coach Marcelo Serrano, will kick off the spring 2019 season with select players including striker Kléber Giacomazzi de Souza Freitas, better known as Kléber, midfielder Marcelo Saragosa and left-back Edson Braafheid. Marcelo Serrano will serve as the first head coach of the new team ahead of the inaugural 2019 campaign. Serrano, a native of Brazil, brings more than eight years of professional and international coaching experience, having developed players in the U.S., Brazil and the U.S. Virgin Islands. Serrano currently serves as the head coach and general manager for the U.S. Virgin Islands (USVI) men’s senior national team. Hired in 2017, he will lead the team during CONCACAF Nation’s Cup qualifications beginning in September 2018, while also guiding Austin Bold FC as it heads into its inaugural season. Kléber Giacomazzi de Souza Freitas, nicknamed "Gladiador" (Gladiator) for his courage and determination, arrives from his native Brazil where he recently played with Coritiba FC. Kléber has scored 194 goals in his professional career, which includes playing time with Dynamo Kyiv of the Ukrainian Premier League and Palmeiras and Grêmio of the Brazilian Championship A Series. In parts of four seasons with Coritiba, Kléber appeared in 91 matches and netted 41 goals, including 23 in the 2016 season. Marcelo Saragosa is a nine-year veteran of Major League Soccer, including winning an MLS Cup and the Lamar Hunt U.S. Open Cup with the LA Galaxy. He most recently played with the Tampa Bay Rowdies, serving as the captain for the 2015 campaign. Saragosa started his career at the age of 12 with Portuegessa, then joined the acclaimed São Paulo FC youth academy the following year, working his way onto the senior team at 20 years of age. Edson Braafheid joins Austin Bold FC after last playing for FC Utrecht of the Eredivisie, the premier division in the Netherlands. The Dutch national was selected to the Netherlands’ 2008 Summer Olympics squad and played in the 2010 World Cup final in South Africa. Braafheid’s professional career includes time with Bayern Munich in the German Bundesliga and Lazio in the Italian Serie A. Player contracts are pending league and United States Soccer Federation approval. 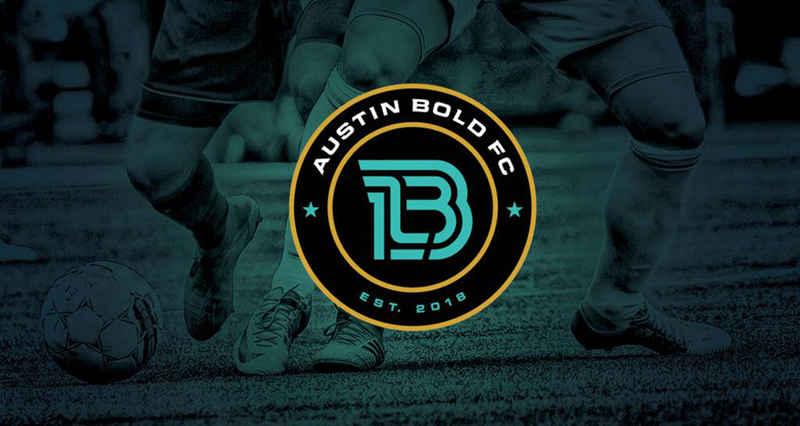 The Austin Bold FC also revealed today that the logo was designed to convey a new team that is strong, dynamic, and of course, bold. The circular seal has two distinctive custom elements: the type and mark. ‘AUSTIN BOLD FC’ is set in a custom brand typeface that will be featured extensively in the club’s visual identity. It is a wide-stance sans serif that emphasizes the power of the team. The custom ‘B’ mark features two lines moving together—one line representing the players and one line representing the supporters. Together they form the strong identity that is the Bold ‘B.’ There is even a component of the ‘B’ that is a subtle reference to the profile of the iconic Circuit of The Americas Tower, evoking movement and speed. Central Texas’ golden sun rays and turquoise waterways were an inspiration for the club’s visual identity, and all the design elements are locked up in a circular seal as a nod to international clubs that many football fans will recognize. Fans interested in being a part of the inaugural season can purchase 2019 season tickets online at austinboldfc.com, with pricing starting at $189.